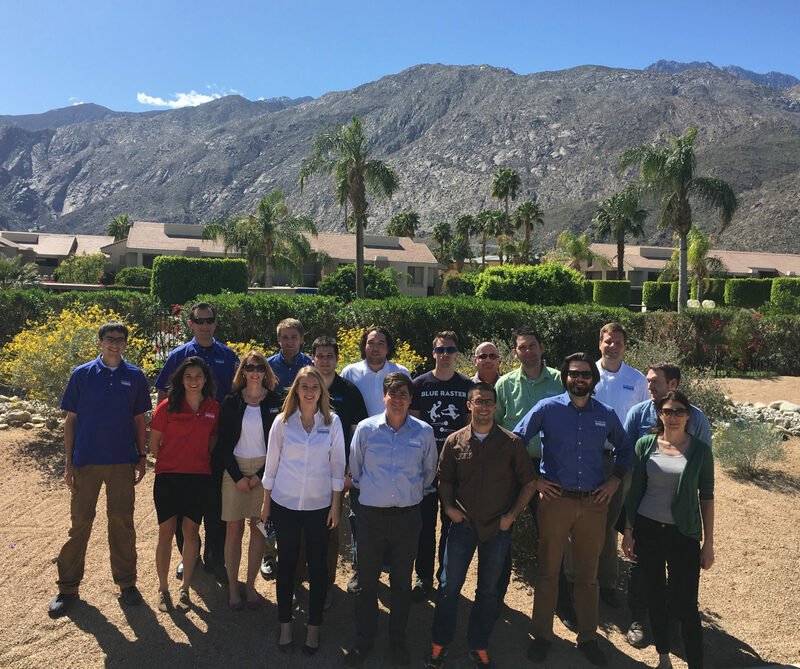 The Blue Raster team returned energized more than ever from the Esri Developers Summit in Palm Springs, California. The DevSummit is where we innovate with others on the latest approaches to web mapping and GIS as well as get a sneak peak on what’s coming up in 2016 specific to the Esri Tools. Portal for ArcGIS 10.4 supports sharing information throughout organizations with each team member having personalized access and editing capabilities. The Spatio-Temporal Big-Data Store can hold archives of large-volume data with longer retention, essential for big-data projects. Optimizing access to cloud-hosted Rasters using the Nasa-developed MRF (Meta Raster Format) Driver along with Limited Error Raster Compression (LERC). This allows imagery to be stored in Amazon S3 while be accessed as if located on local drives. The DevSummit is Blue Raster’s chance to get one-on-one time with Esri experts as we innovate together and reflect on the latest trends in analysis, web mapping and GIS. 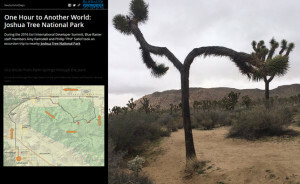 Phil Satlof and Amy Ramsdell were inspired by a presentation by Stephen Sylvia of Esri on Customizing Story Maps and quickly created a Story Map for their trip to Joshua Tree National Park, a day long venture filled with hiking, fun and of course maps. The platform allowed the team to publish and share their adventure via maps without any custom development. Lastly, the team let off some steam with some good old-fashioned fun at the Esri DevSummit party. 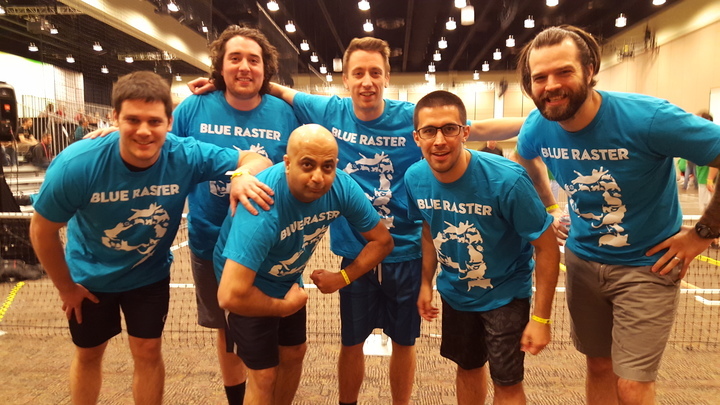 During our record-breaking advancement into the final game of the dodge ball tournament, we enjoyed reflecting on a week of learning and catching up with other devs — ultimately finshing in 2nd place out of 40 teams.